Another week! I can't believe we're almost into February - last year was both a blur but also feels SO long ago. 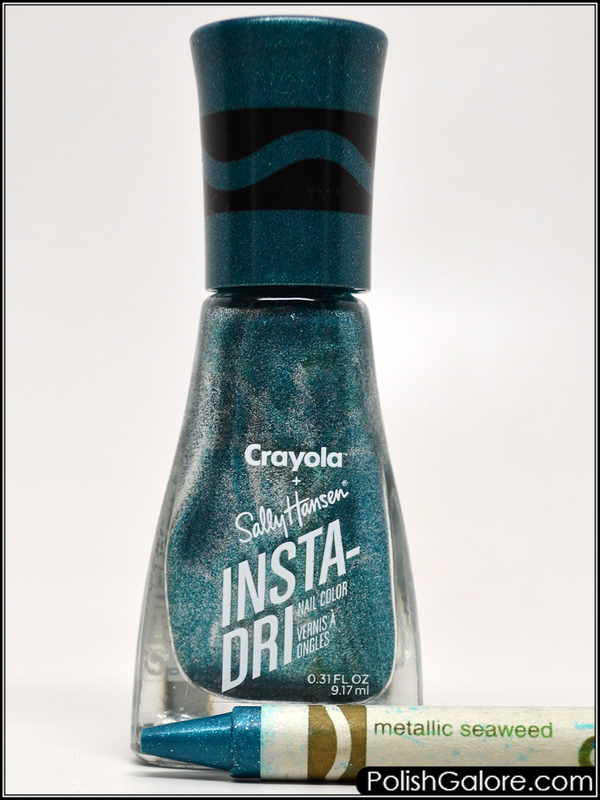 I was really interested in today's color - Metallic Seaweed in the Sally Hansen x Crayola Glam Rock collection. 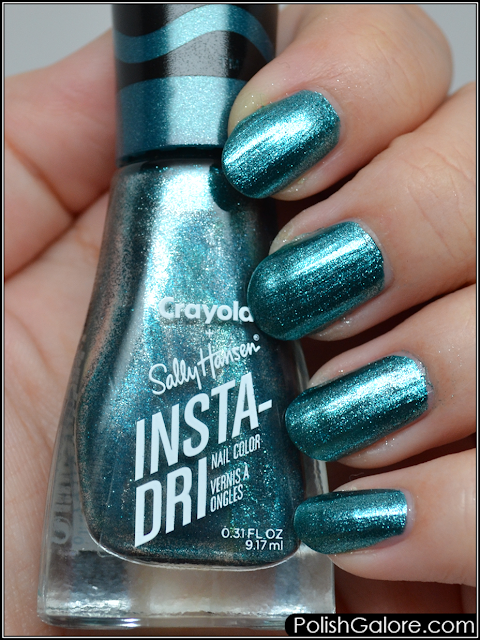 This metallic teal may just make my purge. Thanks to the 3-in-1 formula, I only needed 2 thin coats of polish. The formula on this one was a little runnier than I was used to and I had to wipe my brush several times before applying. I love this color. However, I had a harder time getting this polish off than the other metallics - it didn't stain but I needed extra swipes of remover. I'm not 100% keen on this like I had hoped but it is beautiful.